Grand Baie is the place where the parties pick up, and the best bars and nightclubs on the island are found. However, if you’re looking for a more laid-back and peaceful place to stay on the North of Mauritius, head over to Pointe aux Canonniers, away from downtown. 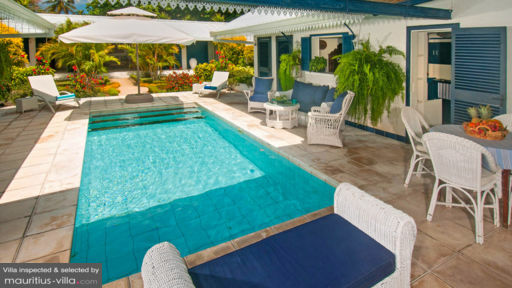 The villas in Pointe aux Canonniers are located near the coast, where you can enjoy the view of the emerald green waters and pristine white sands. Just a short walk to the beach, you can go for island hopping, deep-sea fishing or snorkelling. Within the villas, there are private swimming pool and expansive gardens for families and friends to gather, relax and sunbathe. Around Pointe aux Canonniers, you can visit Ocean Spirit Diving Centre, Mont Choisy Beach, or private tours around the island. If you would like to venture out for day trips, check out Port Louis, known for its markets and street food; Flic-en-Flac for its beautiful beaches; and Le Morne Brabant, one of the Unesco World Heritage Site in Mauritius.